Healthy Inside ~ Fresh Outside..!! 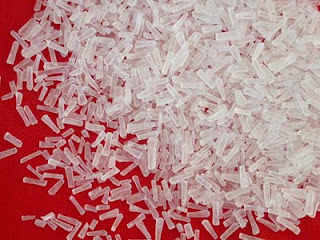 : What is MSG? Foods which contain the largest doses of MSG are spicy corn chips, many soups, certain Chinese foods, ranch dressing, sausages, hot dogs, barbecued meats, smoked meats, processed deli meats, and sauces. Also included are most powdered packets like chili, gravy, taco seasoning, French onion dip and dried dip mixes. Consuming products loaded with MSG on an empty stomach or without water can be especially dangerous. MSG affects nearly everyone because it causes a spike in glutamic acid, which is used throughout the body as a neurotransmitter, so many migraines are accompanied by photo-sensitivity (sensitivity to light) and phono-sensitivity (sensitivity to sound). This explains why many people need to relax in a dark, quiet room to recover. The sooner MSG appears in an ingredients list, the more there is in that product. Consuming MSG at any time is a risk many consumers are not willing to take. Your best bet is to avoid MSG in general and just add your own natural spices to foods. Sea salt and fresh garlic or organic minced garlic can give a dish the same taste and flavor enhancement. Simply Tasteful's "Garlic Garlic" or "Onion Onion" and Trader Joe's "21 Seasoning Salute" are great natural seasonings that take food flavor up a notch and don't cause headaches, nausea or nerve damage.